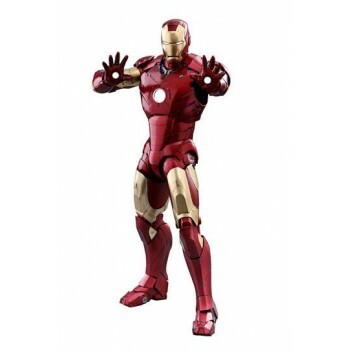 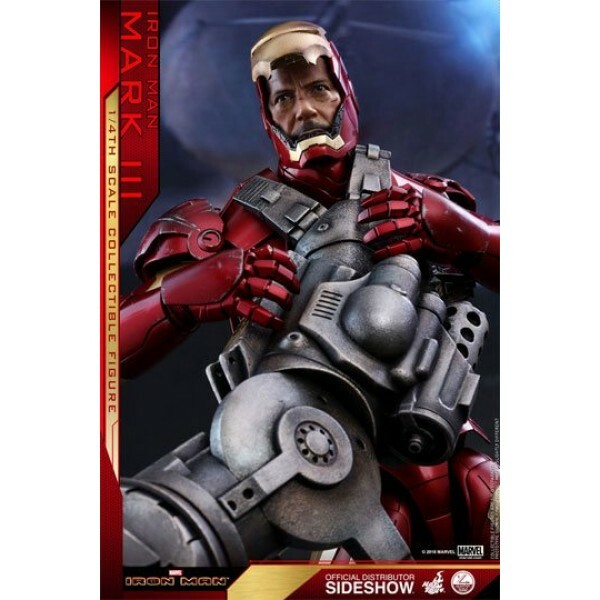 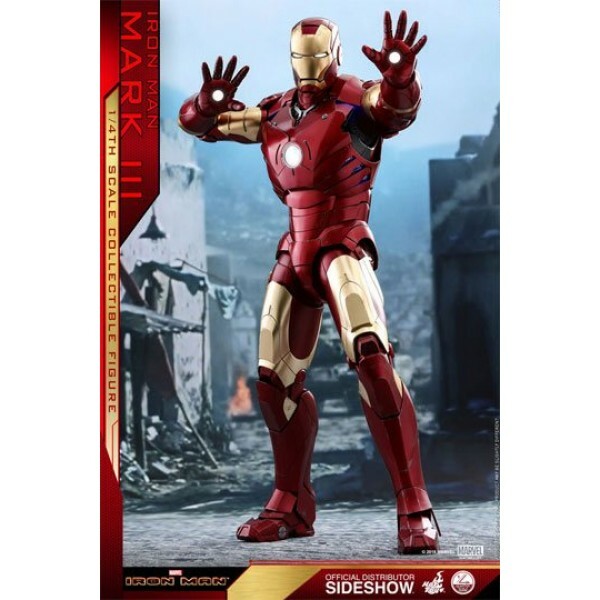 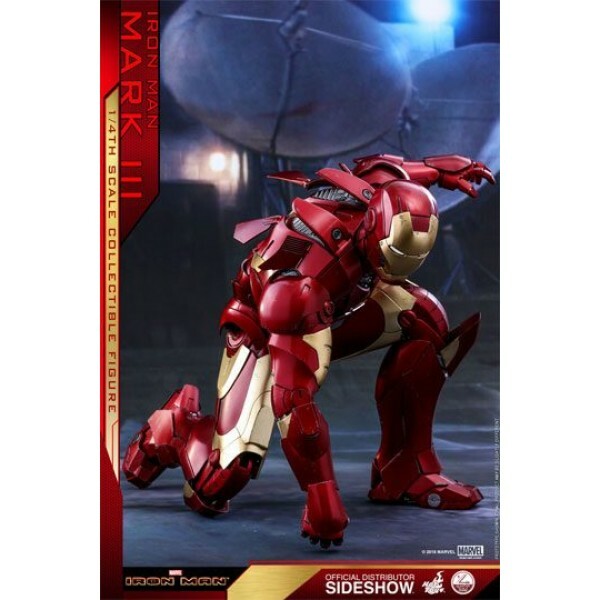 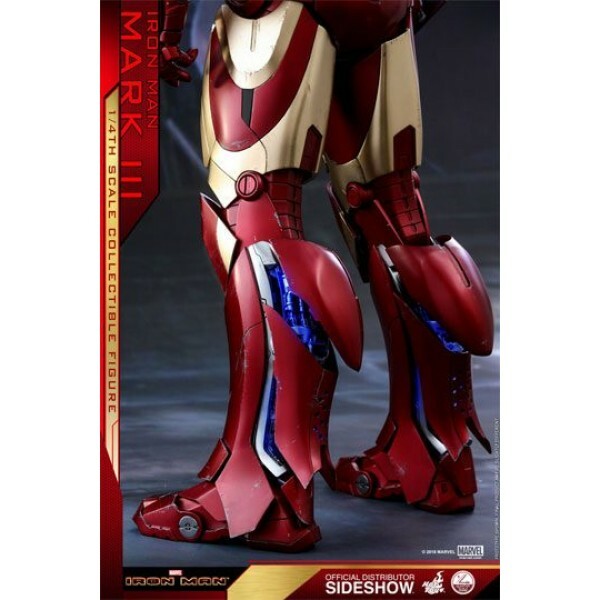 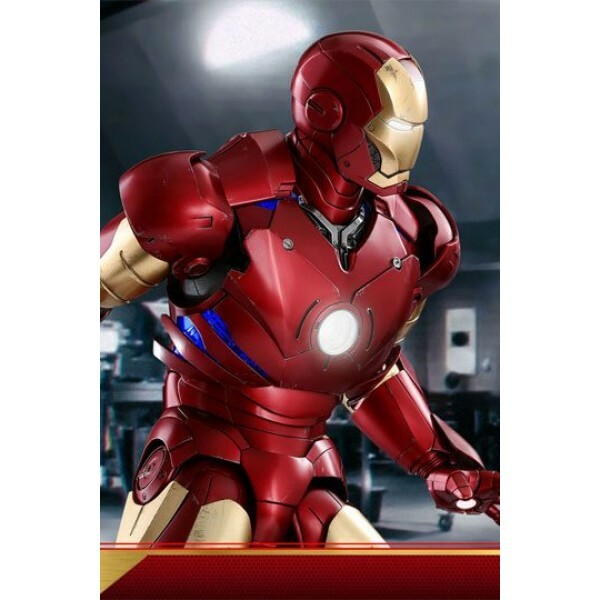 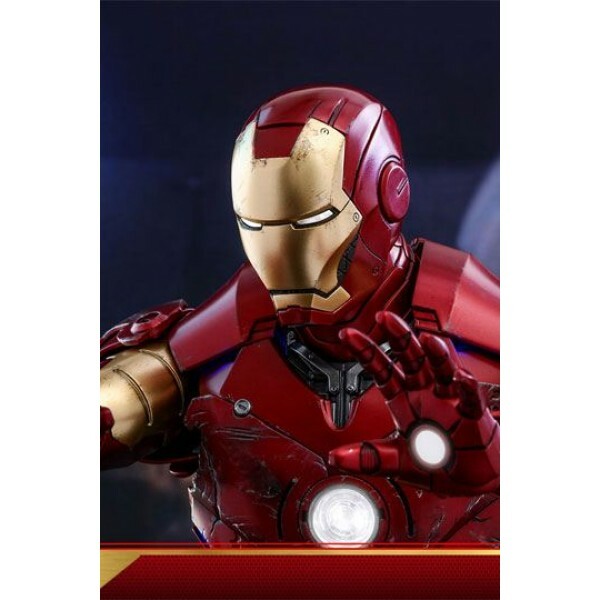 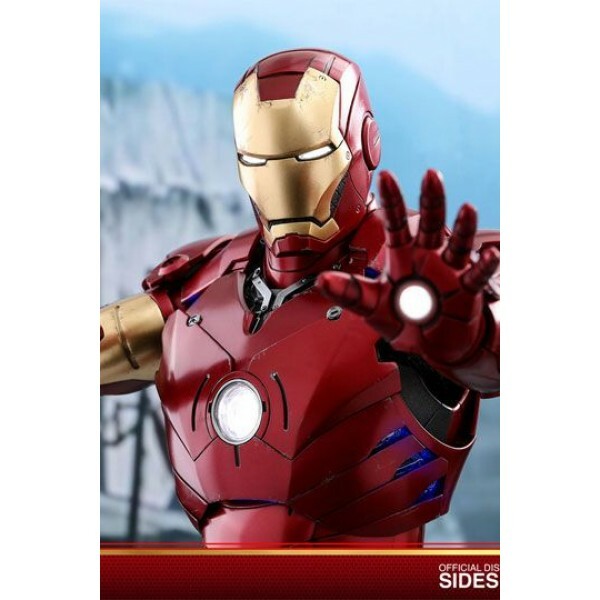 The movie-accurate Quarter Scale Mark III collectible figure is remarkably detailed and meticulously crafted base on the appearance of Robert Downey Jr. as Tony Stark/Mark III in Iron Man. 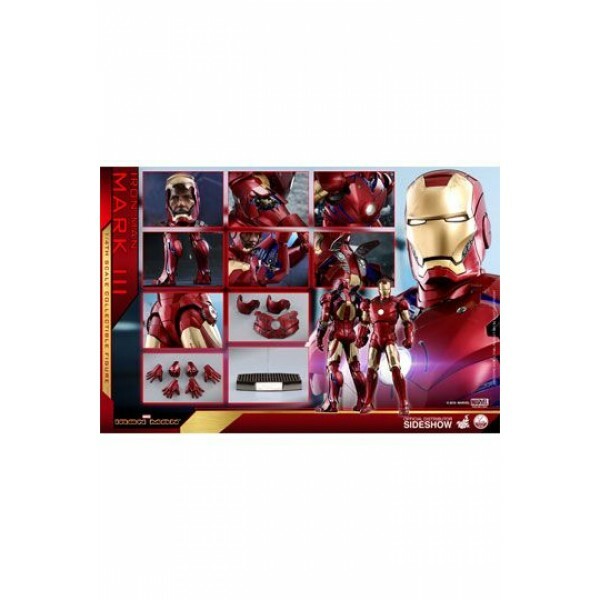 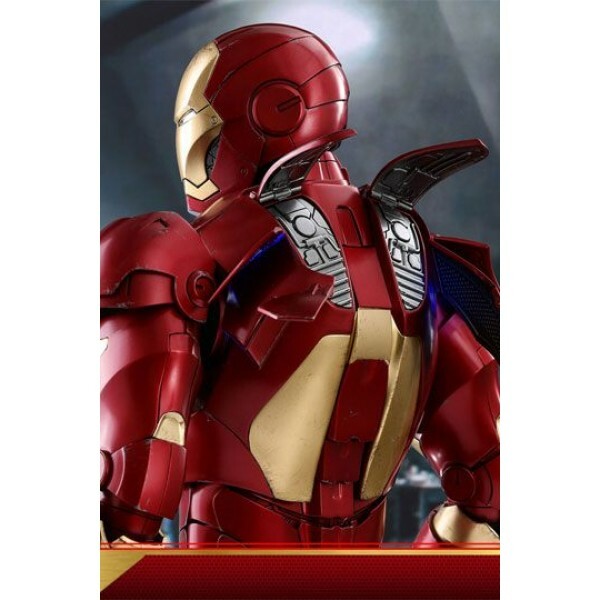 This collectible figure stands approximately 48 cm tall, featuring a newly painted Tony Stark helmeted head sculpt, interchangeable helmeted head with LED light-up eyes, LED lights shine through various areas of armor, masterfully applied metallic red and gold colors on armor, articulated armor parts to reveal interior mechanical design or hidden weapons, and interchangeable battle damaged chest and shoulder armor! 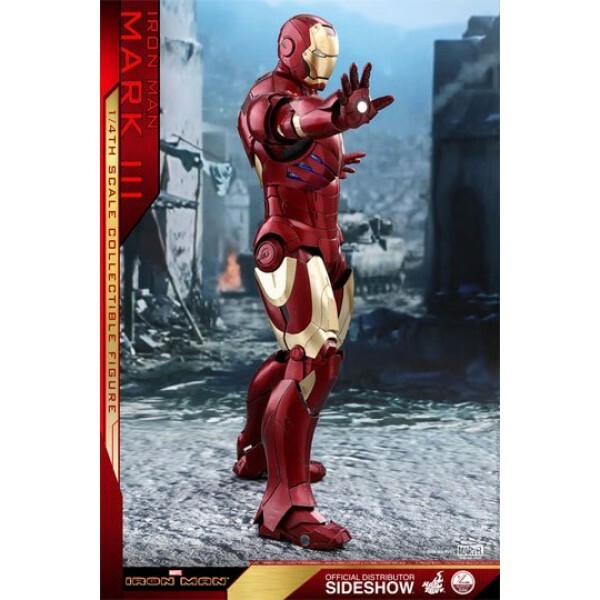 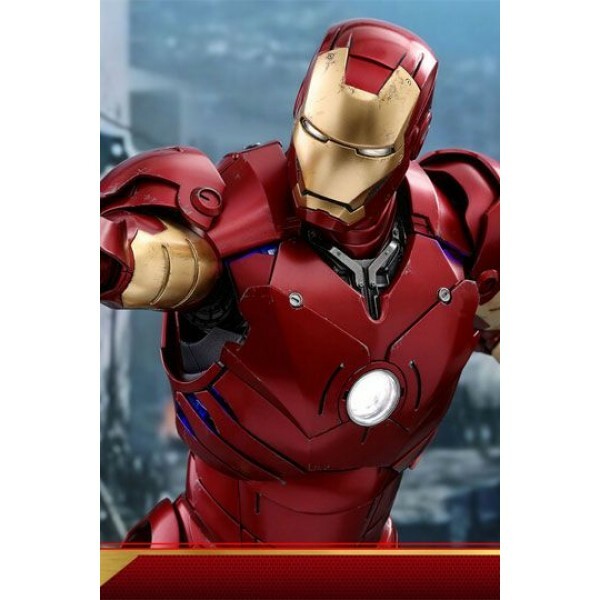 Iron Man fans, don't pass up the opportunity to add the new quarter scale Iron Man Mark III collectible figure to your hall of armors for your expanding Marvel collection!